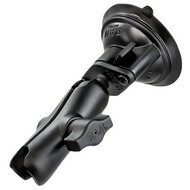 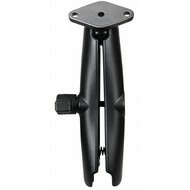 Maatwerk houder voor Garmin GPS met camera, Garmin nuviCam and dezlCam inclusief anti-diefstal lock en B-kogel. 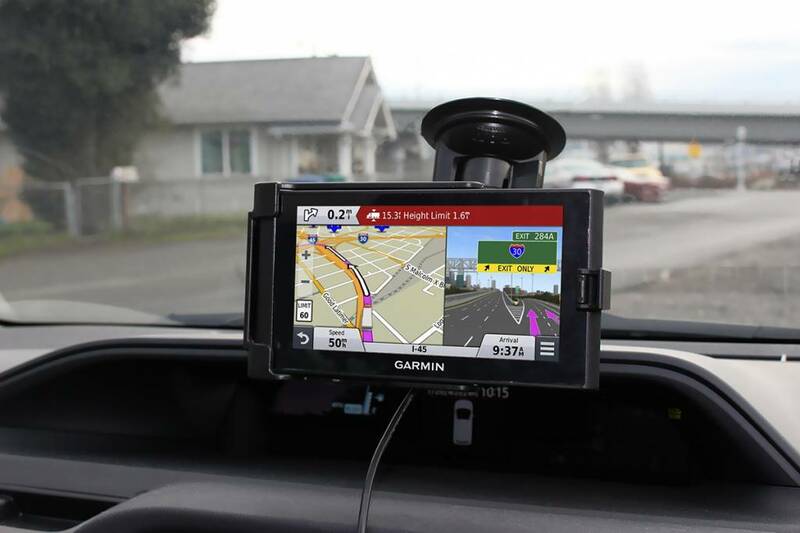 The Garmin nüviCam™ and dēzlCam™ keeps an extra eye on the road. 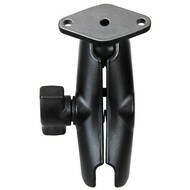 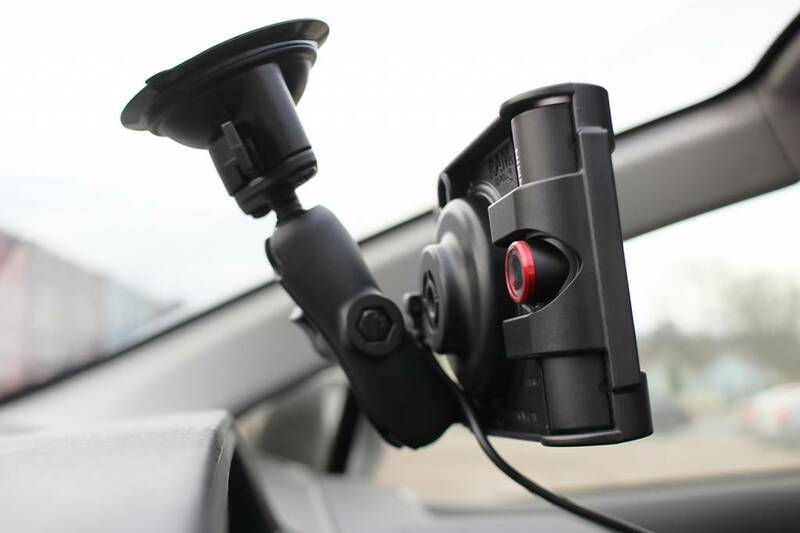 And RAM Mounts custom cradle for these innovative devices keeps traffic information in your line of sight and keeps the device secure in your vehicle. 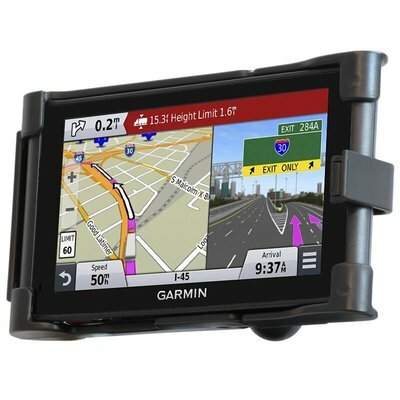 The cradle allows for full range of motion of the device camera and integrates the factory Garmin magnetic dock for access to charging. 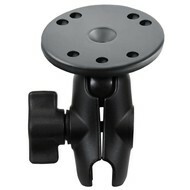 The high-strength composite mount integrates a cable retention system to prevent accidental unplugging. 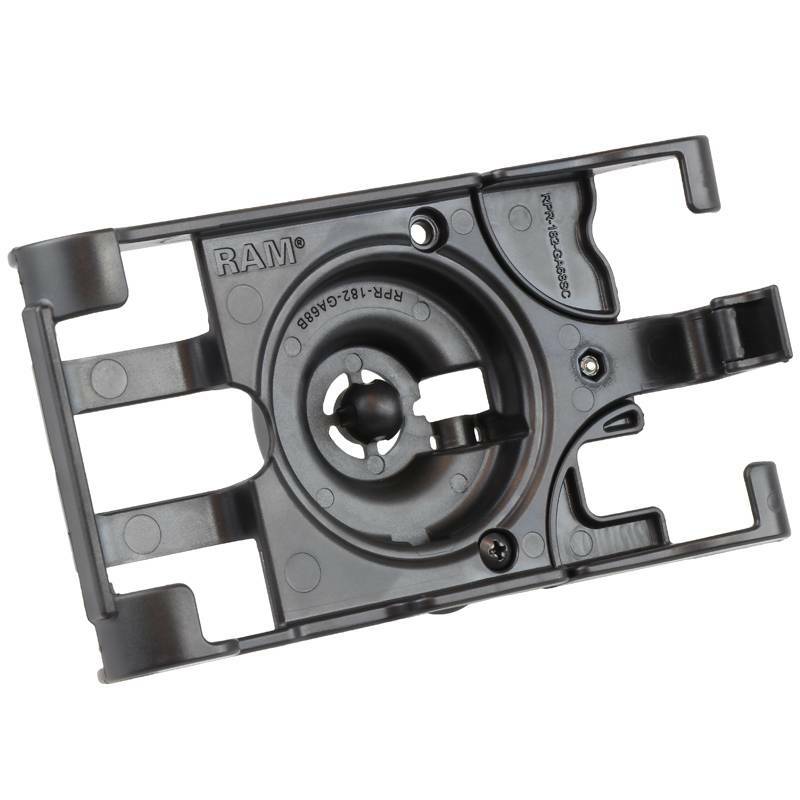 The custom-fit cradle also has a locking option that is installed using press-fit nuts to enhance security. 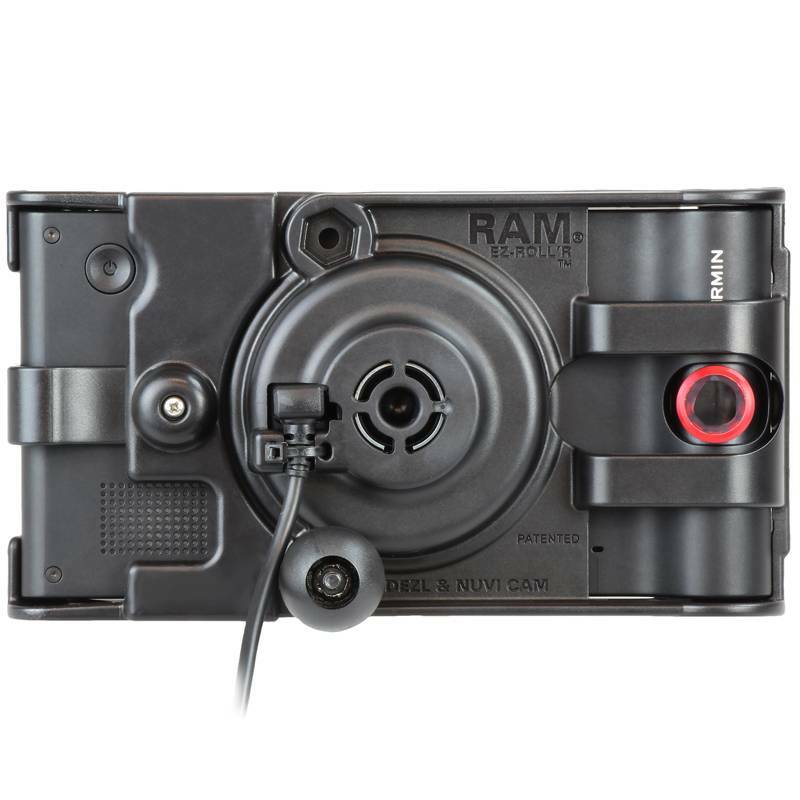 The cradle has two location options to attach the RAM ball (comes with 1" B-Size ball).